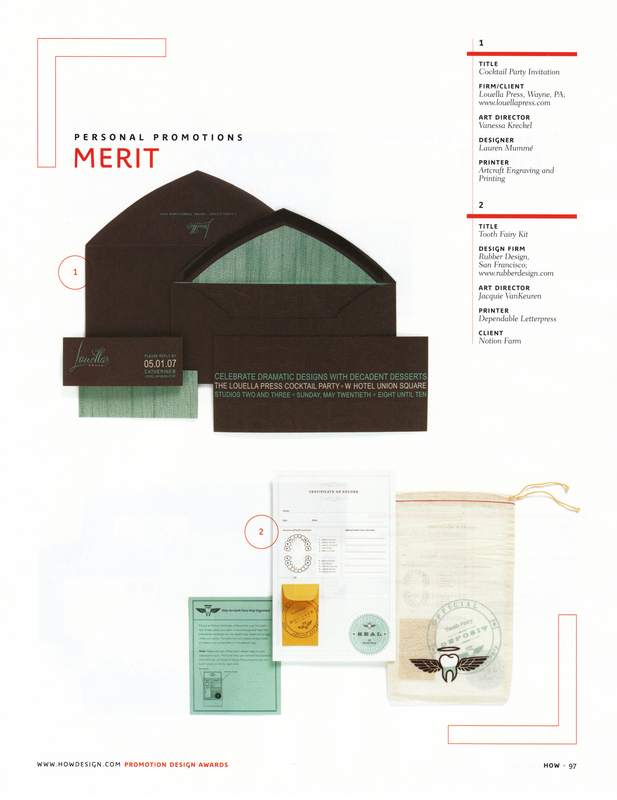 With as much thought and planning that goes into our designs, it’s very exciting when we get a nod from an internationally respected design publication. 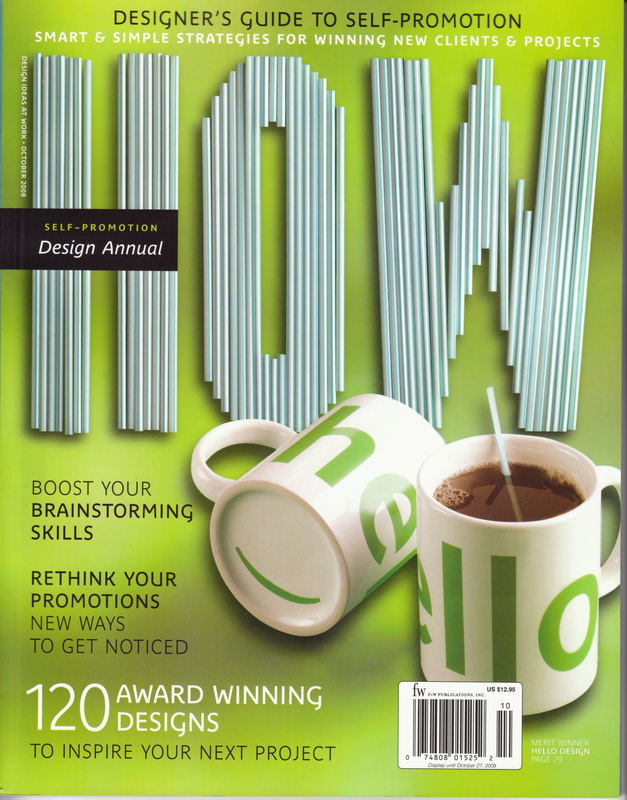 That is why we are thrilled to announce that we received an Award of Merit in HOW magazine’s 2008 Self-Promotion Design Annual. 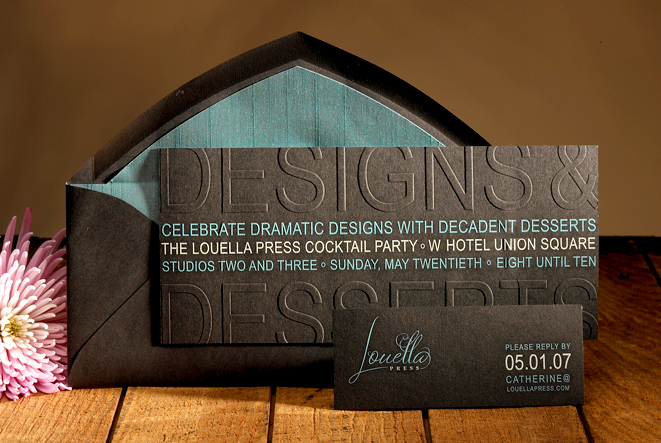 The award went to one of our favorite pieces, an invitation to our Designs and Desserts cocktail party during the National Stationery Show last year. And though we all share in our high points as a team, special credit for this unique design goes to Lauren Mummé and Vanessa Kreckel, who worked right down to the deadline brainstorming, designing and perfecting the details that make this piece stand out. 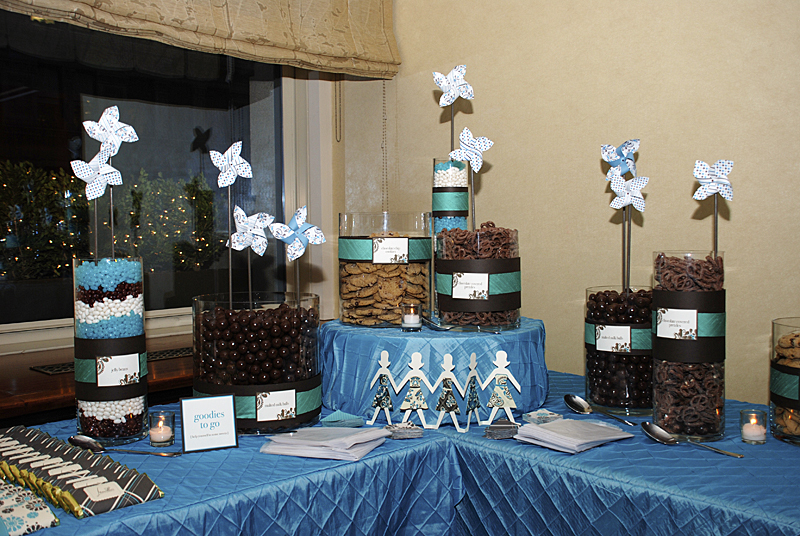 And just in case the Designs and Desserts piqued your interest, here is a snapshot of the favor table before the party. We were on a sugar high for weeks! *HOW did the title of this post happen? I have a love/hate relationship with puns. Somewhere around the time I discovered The Hairport near my apartment I realized that I had a grudging affection for word play. It’s the “so bad it’s good” syndrom. Hence the title of this post… I just couldn’t help myself. 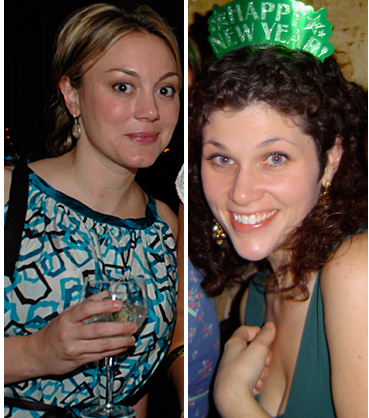 This entry was posted on September 5, 2008 at 4:05 pm and is filed under Press. You can follow any responses to this entry through the RSS 2.0 feed. You can leave a response, or trackback from your own site.